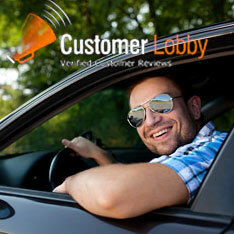 Robert and the rest of the staff made my first car buying experience very easy and pleasant. I would recommend Robert to anyone looking for a new or used car. Our family has now purchased 3 used cars at Adams Auto Group! All cars were found online. Friendly staff and clean showroom. Charlie was great to work with, great sense of humor, easy to talk with, and patient with our requests. Chris in finance was great too. I have never had a car buying experience like I did with Adams Auto Group! They treated me like family and took their time showing me all of the available cars. Once I decided on my choice they had my car detailed to perfection and the deal was completed same day! I Allen Odom, had a wonderful experience here at Adams Auto Group Thanks To my Sales Rep Mark Bearden. He Provided Top of the Line Service Along with some pretty Funny Jokes. He did a excellent job, will definitely recommend him! vehicle drove great , got a great monthly payment. Tony did amazingly . I found the truck I wanted online and came in to meet with Troy Fitch. He made it really easy and a pleasurable experience. I would definately recommend Adams to anyone looking for a used vehicle.